At Augustana Dining, we strive to exceed expectations with dining venues to meet the needs of our students and the entire campus community. 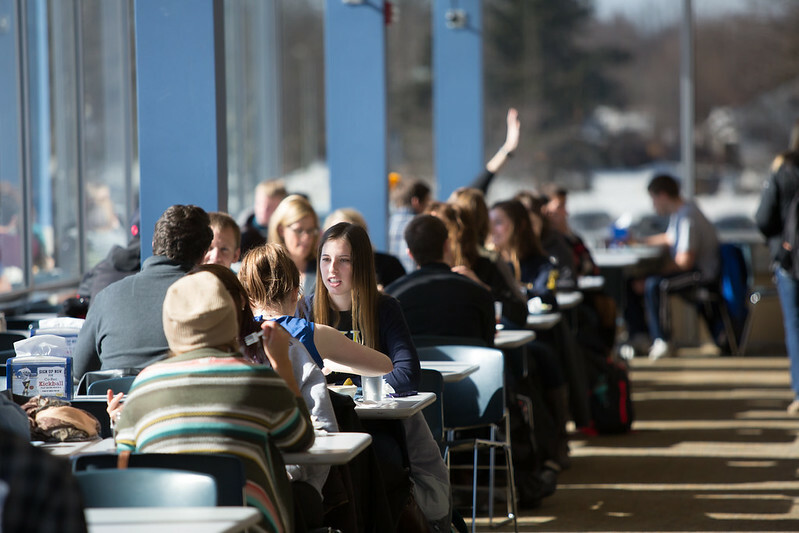 Multiple meal plan options are available, varying in points to satisfy any lifestyle on campus. In addition, Augustana’s dining program includes a resident dining all-you-care-to-eat facility, the Ordal Dining Room, located on the second floor of the Morrison Commons — and a full-service Viking Grill, located next to the Sub Connection. Also located in the Morrison Commons is the Starbucks @ Siverson, in the Siverson Lounge, where We Proudly Serve Starbucks. Dietary options for Gluten-Free, Vegan and Vegetarian restrictions. Our dining services staff will work with students who have special dietary concerns in order to design a program that meets their nutritional needs. Monthly events and promotions to ensure our guests are receiving the best value possible.